Affordable Solar New York’s inaugural project is with Nazareth Housing, a supportive housing organization that serves vulnerable New Yorkers on the Lower East Side and promotes housing stability and economic independence among low-income families and individuals in New York City. 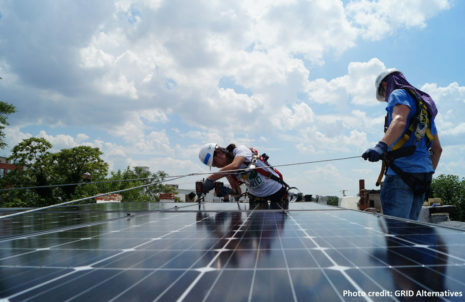 Solar One and GRID Alternatives provided technical assistance for the project, which will be installed by GRID Alternatives in early 2017 through its unique workforce development model, and financed through Co-op Power’s innovative financing. The solar electric system will provide more than 80% of the building’s annual common area electricity and is projected to save the organization 30% on its overall electricity costs over the system’s 25 year life, savings that will allow Nazareth Housing to better serve its constituents. If you are an affordable housing developer, and HDFC, or low or moderate income resident in NYC and would like to know more, please click here and fill out a short survey and we will get back to you.